Being on a budget doesn’t mean you should stay at home! No matter the season, travel in Japan is always a good idea. These 13 locations near Tokyo will help sate your wanderlust without breaking the bank, and give you the opportunity to explore even more of this beautiful country. Kamakura is easily accessible from Tokyo. A one-way trip can take around an hour and 30 minutes, and costs about ¥1,000 depending on where you depart from. If you plan on doing a little beach hopping, you can also purchase the Enoshima-Kamakura Freepass, which costs ¥1,470 and can make a round-trip much cheaper. The Daibutsu Great Buddha statue at Kotoku-in Temple is one of Kamakura's main attractions (entrance to the complex is a mere ¥200, and climbing up inside the Buddha is another ¥20/person). The area is also incredible for hiking! The trailheads near Kotoku-in aren't particularly strenuous, but they lead to many interesting sights in the area, including the mysterious Yagura Tombs that are scattered throughout the hills. If you're visiting on a rainy day, be sure to bring proper footwear, as the trails can get a little muddy. It might be obvious, but Kamakura is also the perfect place for those interested in Japanese temples. One example is the famous Hase-dera, known for its lush hydrangeas and the Benzaiten Grotto, a cave with winding tunnels full of various statues devoted to the goddess Benzaiten. Kamakura is also well-known for Wakamiya-oji Street, which was designated "one of the 100 best streets in Japan." There, one can easily enjoy shopping at the many stores in the area, as well as food and drinks at one of the local restaurants. In addition to everything else, Kamakura also has some beautiful beaches. After temple-hopping, hiking and shopping, why not stop by the seaside for a little fun in the sun? 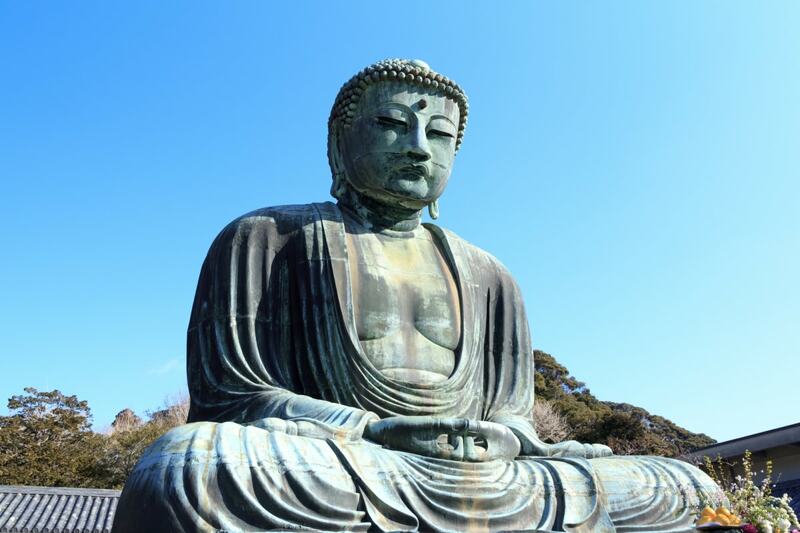 Don't forget to check our article about Kamakura tours! Only an hour and 30 minutes from Ikebukuro, Kawagoe is also referred to as "Little Edo," and it's a dream come true for history buffs! Part of the town has been lovingly maintained, with buildings that date back to the Meiji Period (1868-1912). It's an ideal place for a leisurely stroll, immersed in the atmosphere of a bygone era. The area is also famous for sweet potatoes, which means there are many delicious sweet potato dishes to enjoy. Although walking around Kawagoe is free, if you're visiting from abroad it's definitely worth it to purchase a Kawagoe Discount Pass, which has both a standard and premium version. The first one costs ¥700 and includes trains between Ikebukuro and Kawagoe, as well as special offers at different shops and restaurants. The premium version costs ¥950 and includes unlimited free rides on designated bus and train routes in the Kawagoe area. Yokohama is the second biggest city in Japan after Tokyo, and as such it has all the modern amenities one would expect. Yokohama is incredibly easy to access from Tokyo, and several train lines offer direct service that won't cost more than a few hundred yen. Yokohama is home to Japan's largest and most famous Chinatown, which offers a unique atmosphere and tons of delicious dishes to sample on its crowded streets. There's also the Cup Noodle Museum, which costs ¥500 to enter. Once inside, visitors learn all about the history of Cup Noodle, and can create a custom cup of instant noodles to take home! If you're looking to enjoy nature even in such a large city, there's the Sankei-en Garden, which also costs ¥500 to enter but boasts lovely historic buildings and a pond spanned by a picturesque bridge. Perhaps Yokohama's most famous landmark, the Cosmo Clock 21 ferris wheel in the Minatomirai harbor area offers incredible views of the city for ¥700. Mount Fuji is visible during the day if the weather is clear, and at night visitors can enjoy the bright lights of the city. The nearby Yokohama Cosmo World amusement park is a great place to spend some time if you're traveling as a family. Although the attractions cost money, it's free to enter, and walking through it is half the fun! Mount Takao is a classic for residents of Tokyo. The trip to Takaosanguchi takes about an hour, and costs about ¥400 from Shinjuku. The most popular trail, Trail No.1, is easy enough and isn't particularly taxing, but there are slightly more difficult trails for those who like a challenge. But Takao isn't the only mountain near Tokyo. There's also Mount Mitake, which is part of the Chichibu-Tama-Kai National Park. Mitake is about one hour and 30 minutes from Tokyo, and costs under ¥1,000 depending on what station you're traveling from. The hike is a bit steeper than Mount Takao, but still doable as long as you have some reliable hiking shoes. For those who want to enjoy the view without all the work, both mountains are also equipped with a cable car. For a small fee you can reach the top of the mountain without all the sweat! If you're a science wiz, then Tsukuba is the place for you! Also known as "Science City," Tsukuba is a great place to learn about Japan's cutting edge technology. There's the Space Center, where visitors can join a tour of the facilities, learn more about Japan’s role in space exploration and observe models of parts of the space station. The best part? Admission is free! There's also the Expo Center, which hosts science-related exhibitions (entrance fee is ¥410/person) and a planetarium ¥(810/person), and the interactive science museum Science Square, which also offers free admission. Getting to Tsukuba takes around an hour and is about ¥1,300 one-way. Take advantage of the location, which is also home to several famous flower parks. You can visit the Tsukuba Botanical Garden (¥310/person) or the Tokyo Peony Garden (¥1,000/person, only open when peonies are in bloom) or the Ibaraki Flower Park (¥740/person). All these locations are easily accessible by public transportation. You can also climb up Mount Tsukuba, by cable car (¥1,000) or the old-fashioned way. Enoshima is another popular day trip for Tokyoites, and is a stop on the Odakyu Line. But if you're looking for a bargain, the best deal is the Enopass, which combines trains and entrance to four popular attractions (Enoshima ESCAR, Enoshima Samuel Cocking Garden, Enoshima Lighthouse Observation Tower and Enoshima Iwaya cave) for a mere ¥1,970. The pass also includes discounts for other locations in the area. With so much to do on such a relatively small island, it's a great way to spend a day. If you're looking for something a little further afield, you could consider visiting the two star Michelin site, Jogashima. It's about two hours and 30 minutes from Tokyo, and a Keio Line 1-Day Pass to Misakiguchi Station costs ¥1,000, though you will need to take a local bus from the station. You can also consider buying a Misaki Maguro Ticket, which includes a round trip from Shinagawa, a meal coupon in select restaurants and access to your choice of several tourist attractions. It starts at ¥3,400 (about US$30). The island isn't particularly touristy, but it’s home to spectacular natural views, and the town of Misaki has a lively fish market. Although Kamakura and Enoshima also have beaches, another favorite beach destination from Tokyo is Zushi. The popularity can be partly explained by how easy it is to reach—just take the Shonan-Shinjuku Line from Shinjuku Station, transfer to the Yokosuka Line at Totsuka Station, and you’re set! The price for this trip is around ¥1,000. Depending on where you are in Tokyo, it might be cheaper to take the Toyoko Line from Shibuya Station, and then transfer at Yokohama to the Yokosuka Line. That second trip costs about ¥600. If the beaches of Zushi are too crowded for you, you might consider taking an additional 20-minute bus ride to Hayama, and visit Isshiki Beach. Not only is it usually less crowded than Zushi, but it's also surrounded by beautiful greenery. If you thought going to Nikko was too expensive, think again! Nikko is famous for both its historical landmarks and its natural beauties, such as mountains and onsen, and you can enjoy the splendor of nature without having to splurge. The Nikko World Heritage Area 2-Day Pass offers one round-trip from Asakusa to Shimo-Imaichi on Tobu bus and railway lines for only ¥2,000 (about US$18), and even includes a discount ticket to the popular theme park Edo Wonderland as well as other promotions. Even if you don’t plan to stay overnight, the pass is still convenient. The trip to Nikko takes around two hours. You can see many popular sights around Nikko just a short walk from Shimo-Imaichi. These include Rinnoji Temple (part of which is currently under repair), the Toshogu Shrine and its famous five-story pagoda (a World Cultural Heritage site), Nikko Futarasan Shrine and its lacquered bridge and the Nikko Tamozawa Imperial Villa Memorial Park, where you can catch a glimpse of how the Imperial Family used to live around the early 1900s. Chichibu is about an hour from Tokyo, and is famous for its bountiful nature and lovely shrines. Although we previously mentioned Mount Mitake, attractions in the Chichibu-Tama-Kai National Park also include the famous Mitsumine Shrine located at the top of the mountain with the same name, which is free to enter, and Chichibu Lake. Hitsujiyama Park is also a famous destination in spring, when its moss flowers bloom to create a beautiful pink carpet. From Chichibu, you might also be able to observe a peculiar phenomenon called the "Sea of Clouds"—since the area is surrounded by mountains, sometimes a thick mist covers the city, which looks like it's surrounded by a sea of clouds. This phenomenon can usually be observed from Minoyama Park in humid months like April and November. The area is also famous for rafting on the waters of the Nagatoro River. From Tokyo, you can take advantage of the Seibu One Day Pass that lets you ride Seibu train lines for one day for only ¥1,000, and you can also add a Nagatoro option to this pass for an extra ¥500. There's also a two day pass available for double the price. If you plan to visit many locations you could also consider a Chichibu 2-Day Pass, which costs around ¥2,000 depending on the station of departure. 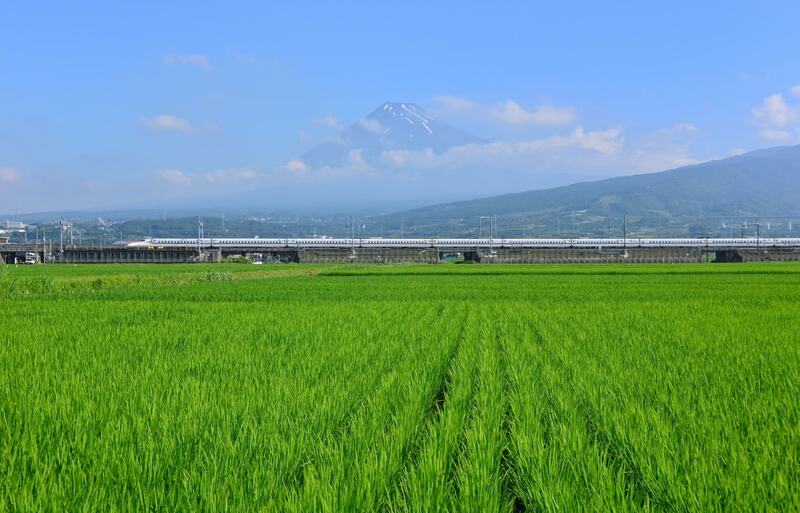 It also includes a discount for one round-trip on the Seibu Line, plus unlimited rides among selected stations on the Chichibu Railway Line, in addition to discounts at local shops and attractions. Looking for a hot spring resort near Tokyo? You might want to consider Atami, a classic getaway location for those in the Tokyo area. While Atami can be reached via Shinkansen bullet train, it's a little more expensive. You can also make the trip in two hours for ¥2,000 (one-way) by riding regular trains from Shinagawa Station on the Tokaido Line. Buses from Shinjuku are also a good and cheap alternative, and cost about the same. You can find more information on Atami here , but things you can do in the area besides visiting hot springs include going to Sun Beach (for free!) and enjoying fireworks shows on select days. They also have a rather unique castle that offers a lovely view of the nearby ocean. Atami used to be the go-to destination for honeymooners, and it has many luxurious ryokan Japanese inns that can be a bit expensive. But some locations offer daily use of their onsen for around ¥1,500, such as Atami Seaside, KKR Hotel Atami, Yuyado Ichibanchi, Hatopia and Ookawa. Please note that most of these websites are available only in Japanese (with the exception of Atami Seaside), so navigating them without some Japanese proficiency can be tricky! Hakone is on the slightly more expensive end of this list, since the Hakone Pass costs around ¥5,000 (about US$44), but it lasts up to three days and is ideal for an extended weekend. The pass allows you to reach Hakone from Shinjuku, and includes many types of transportation once you get to Hakone itself. There's a sightseeing cruise on Lake Ashi, as well as discounts for several museums, attractions and hot springs in the area, so it’s good if you plan to visit many locations in one day or if you have a long weekend planned. For those who are really on a budget, you can still reach Hakone on normal trains, it just takes a bit of time and ingenuity. An Odakyu Line train to Odawara will cost around ¥1,200 one-way, and will take around two hours. From Odawara, you can take other regional buses or trains depending on where you want to go. This is probably the best option if you plan to only see one or two attractions. You can learn more about Odakyu trains to the region here. The Hakone area is famous for its hot springs, as well as Owakudani’s volcanic area, the recently-restored Odawara castle and surrounding park, plus the spectacular views on Lake Ashi and the Hakone Shrine. Entrance to Owakudani and Hakone Shrine is free, so you’re not spending a a single yen there! Entrance to Odawara Castle is also budget-friendly at ¥500/person, but a combo ticket that includes entrance to the museum is ¥650. If you want to experience onsen on the cheap, Tenzan Tohji-kyo is probably one of the cheapest, and costs between ¥1,100 to ¥1,300 per person. There are also other options such as Hakone Yuryo (¥1,400) and Hakone Green Plaza Hotel(¥1,600).